Emma from Words and Peace is here today to bring us a very bookish topic related to Back to School. Read on and get your TBR list ready! So happy to be participating in Back To School at Book Bloggers International! Whether you have children, grand-children, or not, you can't escape the special flavor in the air in mid-August to September. It's time to go back to school, to get back on track to learning, possibly to set your own goals, and of course keep an eye on all the new books for the Fall. So I was curious to see what my own Goodreads shelves were telling me about school and learning. As I revisit the books I read with school/learn in the title, it really strikes me they all have to do with love. Actually, shouldn't it be the very first goal of learning? How to love? Unfortunately, our current Western system of education does not seem to emphasize that part. The play The School For Wives is a classic for all French students, so I must have read this when I was in my early teens. It was written in 1662 by Molière, think the French Shakespeare. It's a comedy that "depicts a character who is so intimidated by femininity that he resolves to marry his young, naïve ward and proceeds to make clumsy advances to this purpose. It raised some outcry from the public, which seems to have recognized Molière as a bold playwright who would not be afraid to write about controversial issues." Inside The School of Charity was actually written by a friend of mine in 2009. Drawing on her journals from living inside the enclosure of Our Lady of the Mississippi Abbey (a community of twenty Cistercian nuns) for three months in 2003, her reflections on the unexpected challenges and insights that emerged during that time, and on her own experience as a professional woman, wife, daughter, and mother, Trisha Day delves into the questions of how the centuries-old wisdom of monastic life can challenge, inspire, and guide those living outside the monastery. Filled with stories from her own life and fascinating details of daily life in the monastery, her book is sure to strike a spark with all those seeking to live in a fully human and Christ-centered way. I reviewed it on this blog. The Joy of Learning and the Love of God in my early twenties. This collection of essays was published back in 1961 by a Benedictine monk and scholar who spent all his life researching and writing, tons! His essays are fascinating, full of erudition. There's a story close to my heart behind this book. When I was a child in a tiny French village of 250 inhabitants, at one point some people came to settle in a rather dilapidated house. They were very peaceful and very kind. I learned later they were Buddhists, and had been persecuted for their way of life and their actions, as they had helped many people escape Vietnam. The woman in the cover had very long black hair. Then she became a Buddhist nun. Learning True Love: How I Learned and Practiced Social Change in Vietnam are her memories, and she talks among other things about her years in my village, which she calls 'potato village'. And Here are the books on my Goodreads TBR list with school/learn in the title: Here the themes are more diversified: languages, reading, and nature, basically my most favorite hobbies! KATO LOMB (1909-2003) was one of the great polyglots of the 20th century. A translator and one of the first simultaneous interpreters in the world, Lomb worked in 16 languages for state and business concerns in her native Hungary. She achieved further fame by writing books on languages, interpreting, and polyglots. 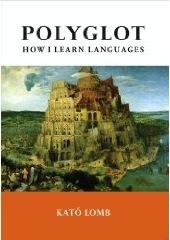 Polyglot: How I Learn Languages, first published in 1970, is a collection of anecdotes and reflections on language learning. Because Dr. Lomb learned her languages as an adult, after getting a PhD in chemistry, the methods she used will thus be of particular interest to adult learners who want to master a foreign language. Multilingualism is on the rise in the coming decades, as many as two billion people will learn English as a second language. The next stage up from multilingualism is the domain of the hyperpolyglot or superlearner: someone who claims to know at least six languages. But what does it mean to know a language? Can a person claim to speak a language fluently if it isn't their mother tongue? What role does culture play in learning languages? In Mezzofanti's Gift: The Search for the World's Most Extraordinary Language Learners (2013), an accessible and enthralling book, Michael Erard discusses the upper limits of the brains capacity to learn languages and sheds light on the hyperpolyglot phenomenon, from the Italian cardinal Giuseppe Mezzofanti, who was said to speak as many as seventy-two languages, to the superlearners of the 21st century. While debating literature’s greatest heroines with her best friend, thirtysomething playwright Samantha Ellis has a revelation—her whole life, she's been trying to be Cathy Earnshaw of Wuthering Heights when she should have been trying to be Jane Eyre. For James Barilla and his family, the dream of transforming their Columbia, South Carolina, backyard into a haven for wildlife evoked images of kids catching grasshoppers by day and fireflies at night, of digging up potatoes and picking strawberries. When they signed up with the National Wildlife Federation to certify their yard as a wildlife habitat, it felt like pushing back, in however small a way, against the tide of bad news about vanishing species, changing climate, dying coral reefs. Then the animals started to arrive, and Barilla soon discovered the complexities (and possible mayhem) of merging human with animal habitats. What are the limits of coexistence, he wondered? To find out, Barilla set out across continents to explore cities where populations of bears, monkeys, marmosets, and honeybees live alongside human residents. My Backyard Jungle brings these unique stories together, making Barilla’s yard the centerpiece of a meditation on possibilities for coexistence with animals in an increasingly urban world. Not since Gerald Durrell penned My Family and Other Animals have readers encountered a naturalist with such a gift for storytelling and such an open heart toward all things wild. Back to school, to learn how to love and how to live. I encourage you to look at your Goodreads shelves and see what the words school and learn tell about yourself, about your past and your future. Feel free to share, if it's not too private. I think I have it updated correctly, but if not let me know! Sorry about that! I love how you came to write this list. I haven't heard of some of these books, but many of them caught my attention, most particularly Learning True Love and How to be a Heroine. I love what your search uncovered! Clearly demonstrates a commitment to learning, in many areas of life. The Joy of Learning and the Love of God is a book I am "currently reading" (I need to check that it says on Goodreads too!) --I think it is one of my favorite book titles, a poem in itself and an inspiration, summing up LeClerq's life mission and the credo of the saints and monks he studied. 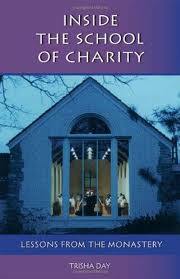 The School of Love and Inside the School of Charity are both books I'd like to read!